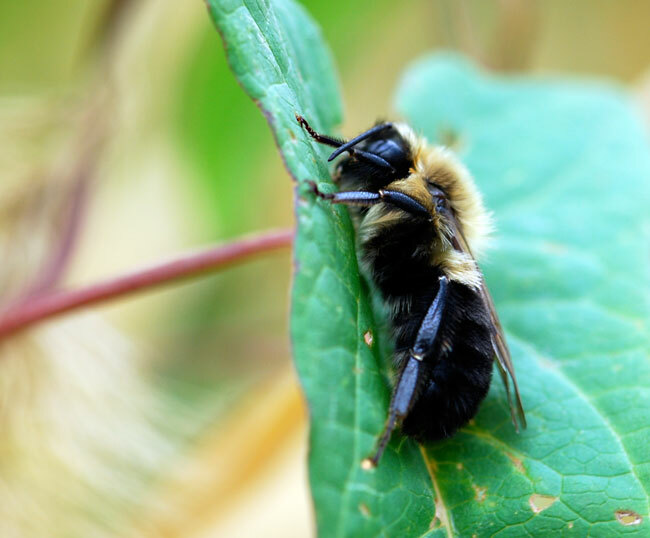 On a trip to western New York in October, I was taken by how many bumble bees there were. Some were resting on leaves, etc. 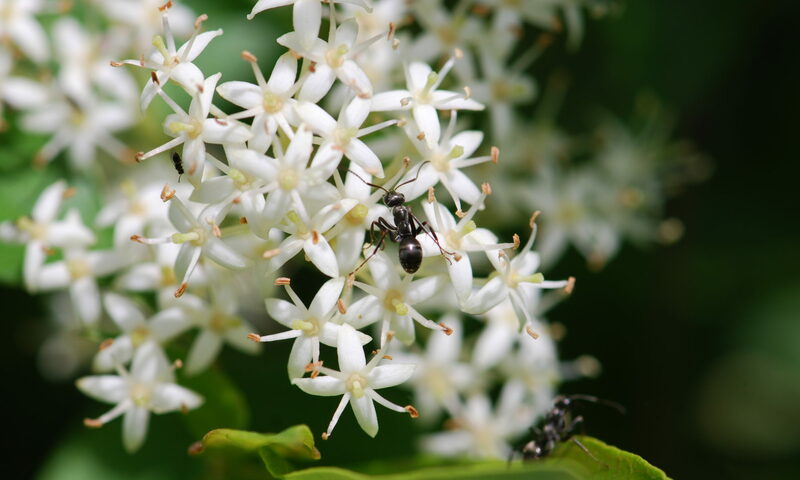 Others were collecting pollen and nectar. Because there were so many, in fact, I soon wished I knew how to identify bumble bees better. It not uncommon to have difficulty identifying bumble bees. Some species vary quite a bit in color and don’t have a lot of distinct morphological differences. Much of the bumble bee literature is quite old and the keys are out of date. The two guides can be downloaded as free .pdfs at The Xerces Society (scroll to bottom of page). 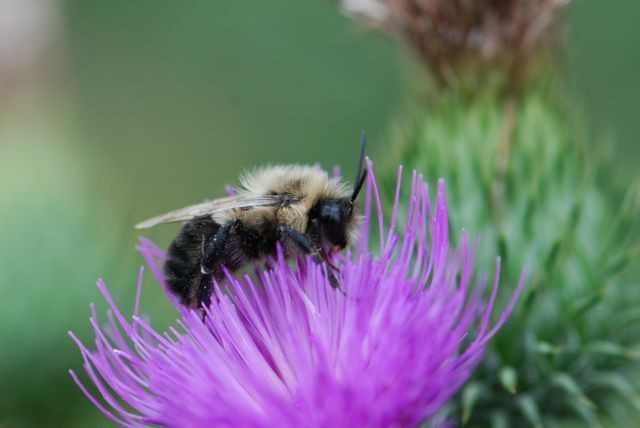 Looking through the Bumble Bees of the Eastern United States guide, I believe the bumble bee above on the thistle flower is Bombus impatiens, the common eastern bumble bee. I can’t wait to give the western one a try on the species here in the Southwest. Have you seen these guides? 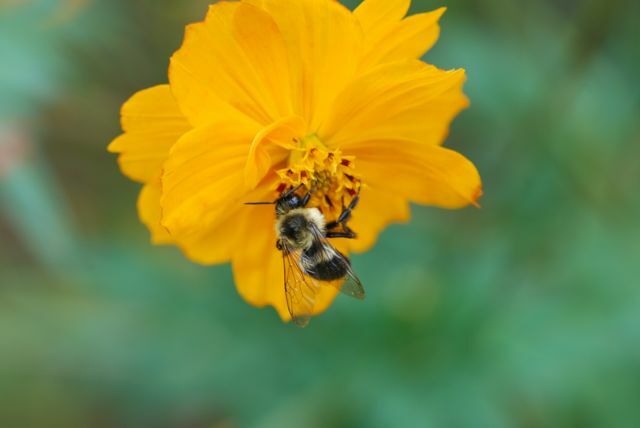 What kind of bumble bees do you see regularly? Also, does anyone know of a rather small bumble bee that may have been introduced to western New York? Thanks for your generous distribution of PDF bulletins.